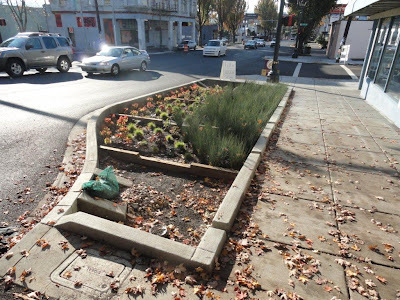 It was bound to happen, but a nice walk for some coffee showed the new 'orderly frames' for the previously unruly green street planters along Burnside Street. 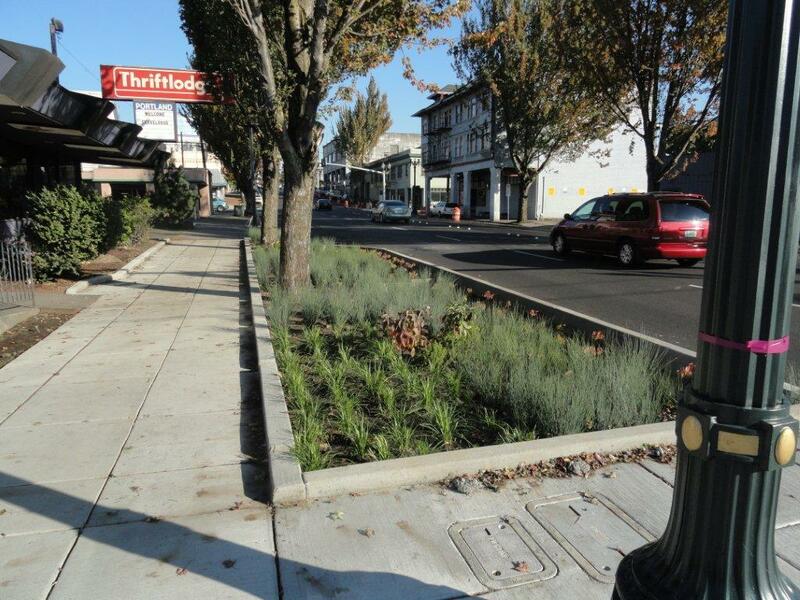 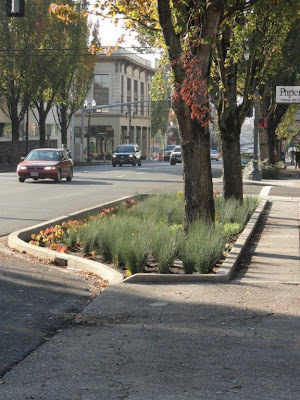 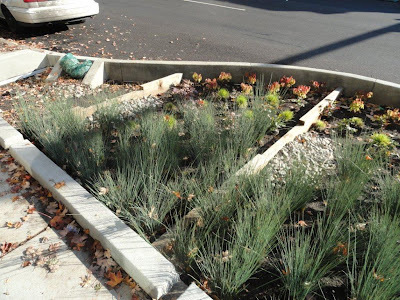 Some updated images displaying what is quickly becoming 'stock' in the local green street planting arsenal - (c) Jason King | Landscape+Urbanism. 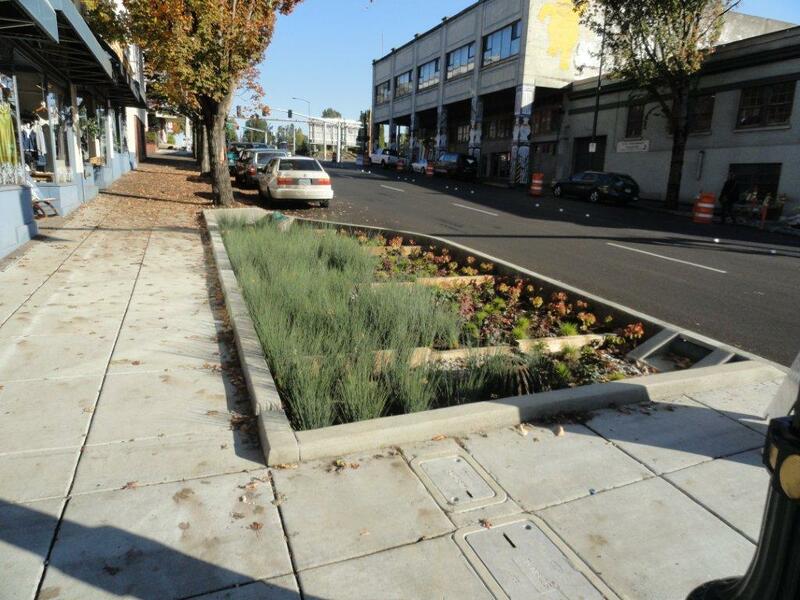 I'm really intrigued by the planters that have captured the existing street trees. 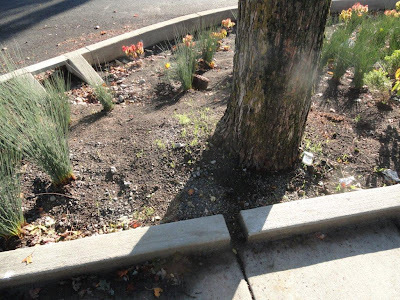 My guess is it is a compromise between impacting the tree roots with excavation, versus impacts to the root zone via additional water. They are all columnar red maples, and the majority of runoff directly on them is from small sidewalk inlets - so seems as if the wet feet may not be so much of an issue. Another interesting shot was the excavation of some of the new planters on the south side of the street (still under construction, I can tell from the wonderful odor of black tar in the air). 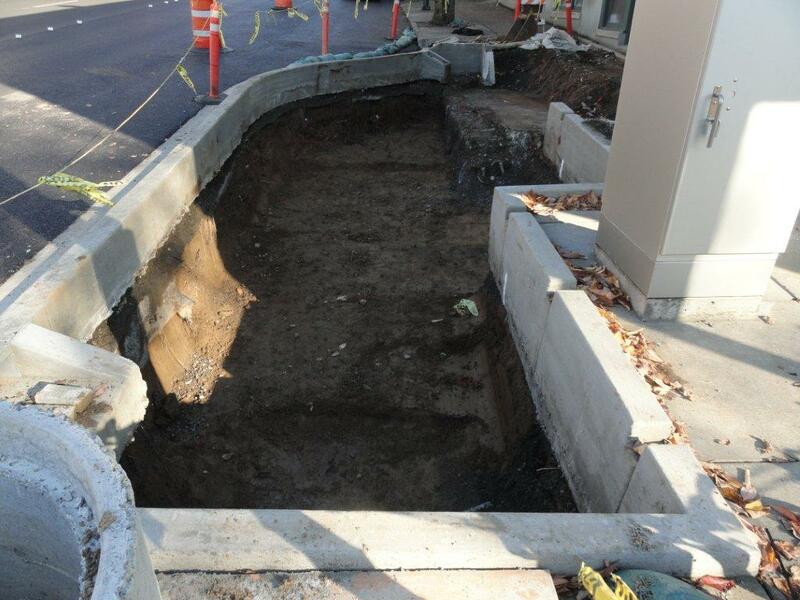 The subsurface condition of a stormwater planter is always fascinating, as what you see on the surface is rarely what is doing the heavy lifting for retention and infiltration. 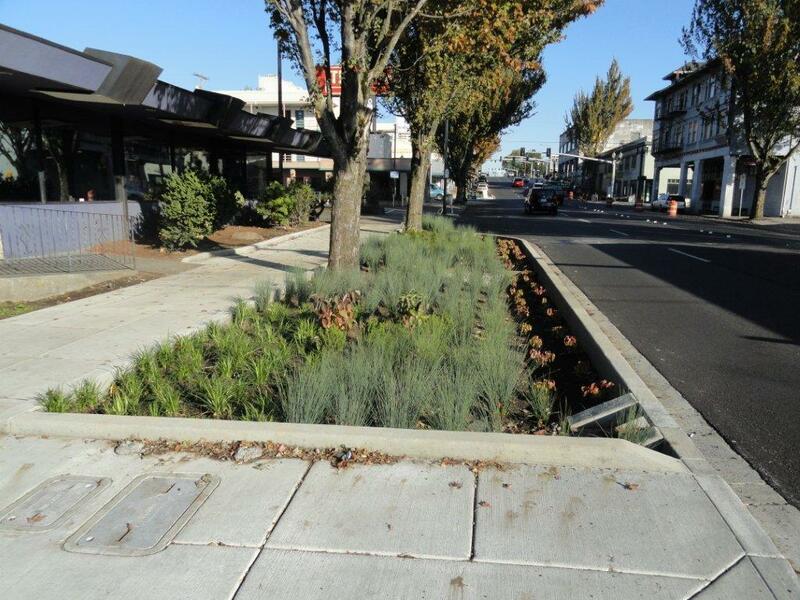 Based on the photos, the surrounding concrete curbs and sidewalks seem to contribute to the blandness of the planters.